Conventions aren’t all ogling your heroes and dress-up. There is a plenty of culture and information around every corner of the convention hall just waiting to be observed. While I may have had my fair share of fangirl fun at MegaCon 2013, I also learned some things. 1) Jean Luc Picard is greater than Captain Kirk. I thought the geek love for William Shatner was a force of nature, but all weekend long I overheard another name circulating through the crowd. That name is Patrick Stewart. Color me surprised at how excited people were to just get a glimpse of him. His fan base is a devoted one as folks happily lined up several hours before his panel, and were quick to direct you to the END of the line to make sure you didn’t cut by accident … and in turn push them further away from their beloved bald god. 2) Dean Cain does not age. Maybe he bathes in babies’ blood and sleeps in a cryo-containment unit. Or maybe he really is Kryptonian. I mean that in the nicest possible way, I swear. It is a pretty common perception that there is only the one con, and it is an annual event. But there are lots of comic, sci-fi, and pop-culture conventions all over the world and all throughout the year. MegaCon and Dragon*Con are the only two I have attended so far. They are each a distinct experience (as I imagine all conventions are). I am learning the pros and cons of cons, and they vary. MegaCon boasts some pretty interesting panels, and I enjoy the the casual nature of the table set-up there. You can just walk up to your favorite comic creator and have a chinwag. But the most inspiring feature of MegaCon is the effusiveness of the attendees. The downside to that is with that much vibrancy comes a bit of chaos. The logistics of navigating MegaCon leaves a lot to be desired. Tighter control of the flow of people and better signage would work wonders for this con. 4) When you see LeVar Burton, the overwhelming and inexplicable urge to sing Reading Rainbow is very real. After a long day of cosplay, I decided to have an adult beverage at the watering hole of choice for MegaCon-goers. In the midst of a conversation with a friend, I noticed that LeVar Burton was sitting across the bar from us. I may have had a brief fantasy about walking over to him and softly singing Reading Rainbow in his ear … then just walking away. I didn’t do that, of course. That would be crazy. 5) Ethan Van Sciver is awesome. I spent a decent amount of time stalking Ethan Van Sciver’s table because I very much wanted my Green Lantern Absolute Edition signed by him. On Friday, he was not there. Repeated visits on Saturday proved to be fruitless. Then, finally, on Sunday afternoon … he was there. He was busy sketching and there was a sign clearly stating: “Signing at 2:00 pm.” It was 1:15 pm. I waited, and made sure I was one of the first in line. He very jovially greeted me, and I handed him my book. I started to tell him how much I enjoyed his humor in the DC panel on Saturday and while I was talking … he started sketching. He did a Hal Jordan sketch in my book. Whoa. That really made me happy. 6) Fishnets will inevitably rip. Cosplaying Canary for a second time, I managed to snag my fishnets via some seemingly innocuous device AGAIN. It happened the first time, too. It’s maddening. While my obsessive nature makes that imperfection in my costume almost unbearable, it will now make me scrutinize the activities of any character in comics with fishnets. I know that is mildly ridiculous, but I know myself. The statement, “That so would have put a hole in her tights” is going to be a new part of my comic book reading experience. 7) The American comics industry could learn a thing or two from Anime and Manga. I thought I was well-versed in sequential art, but you can color me humbled. The world of Anime and Manga is currently beyond my realm of expertise, but I know one thing now – the fans are enthusiastic, young and diverse. The “New 52” and “Marvel Now!” are both attempts at drawing in a younger, broader audience. But that audience is busy reading Manga, watching Anime and cosplaying the characters. Perhaps DC and Marvel would be well-served to observe the characters, stories and themes present in those art forms because they are speaking to their desired target audience, and those kids are all in. 8) Gail Simone is just as awesome in person as I believed her to be. What a wonderful thing it is to meet someone that you admire so much, and they turn out to be everything you admire them for. She’s so smart, thoughtful, kind and a dozen other good things. Thank you, Gail. For more on Gail, check out my recap of her panel, Spotlight on Gail Simone. Sounds like an amazing trip! So jealous you met Van Sciver and Simone!!! It’s been years since I attended MegaCon, but my recollection is basically an over-crowded, enormous dealers room. I remember there were a handful of panels back then, but I think that was before Marvel and DC had big presences at the Con. 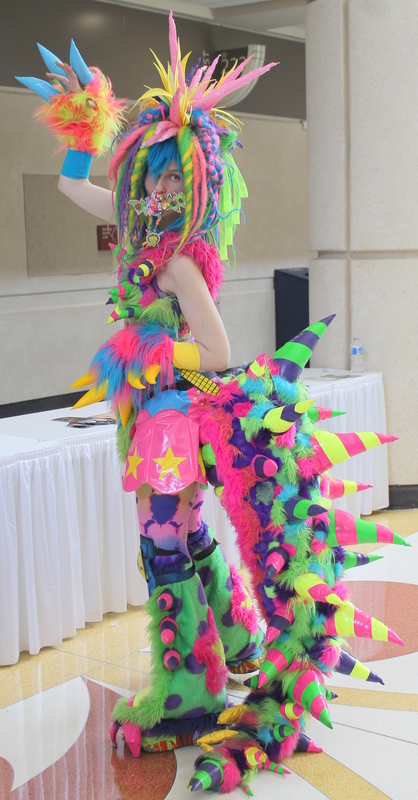 Also I remember a lot of hanging out in the hallways outside the exhibit hall taking photos of cosplayers. Does my description still apply? Looking forward to hearing your Gail adventure! Yes. While the comics presence and panels are pretty substantial these days, your description fits the bill. Thanks for the tip! I will do that. Thanks for sharing your lessons learned or reaffirmed!